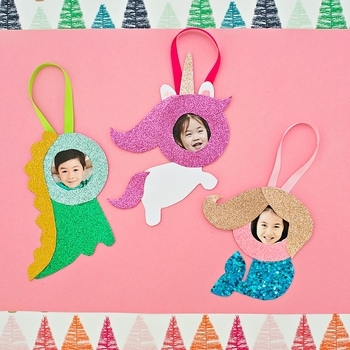 These magical unicorn, mermaid and dinosaur photo ornaments make adorable holiday keepsakes. 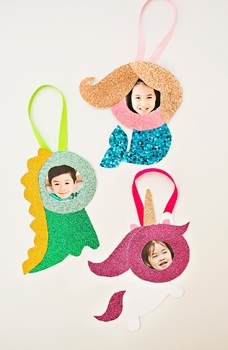 They're a great ornament for the class to make and bring home as holiday gifts too! 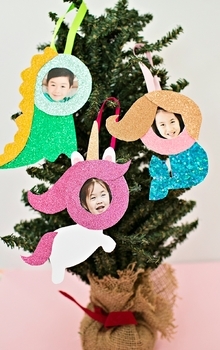 You will receive 3 pages of instructions and 3 page of printables (one ornament per page). 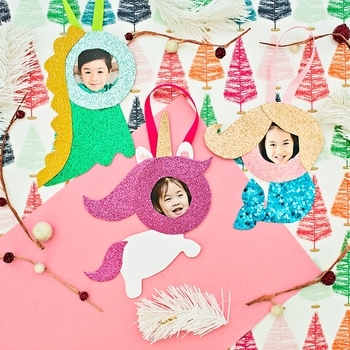 See more creative and fun ideas for kids on my website: www.hellowonderful.co. All content in this product is copyrighted property of hello, Wonderful. You are welcome to use this template for personal or classroom use. You may not sell or in any way profit from the electronic file. You may not store or distribute the file in any other website or another location where people may download it (ex. Dropbox, Facebook groups, 4Shared).